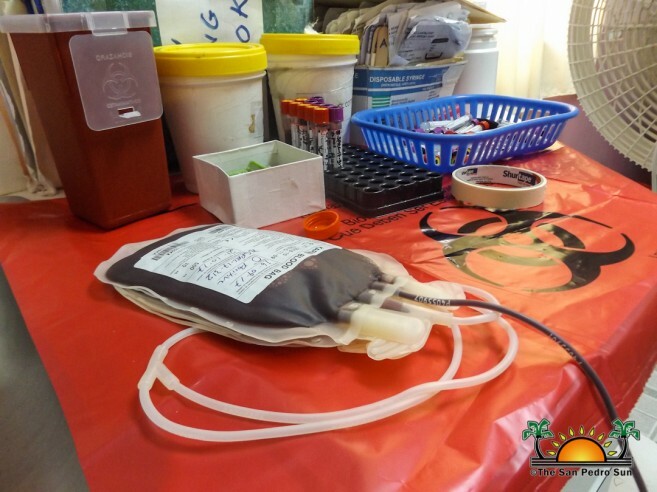 In hopes of building Caye Caulker’s blood reserve, the Belize Red Cross San Pedro Branch (BRCSPC) held their second blood drive of the year at the Caye Caulker Polyclinic on Saturday, September 30th. While the blood drive did not bring in as many people as hoped for, BRCSPC would still like to thank the community for assisting. From 9AM to 2PM, three pints of blood were collected. The simultaneous dollar drive saw a total of $150.32 collected. BRCSPC reiterates that it is important for communities to donate blood and build a blood reserve with the Belize Blood Services. The blood collected at these respective blood drives are for the sole use of the community from where it is donated. This blood is used when persons of that community are in need, such as accident victims, cancer patients, hemophiliacs and surgery patients. Stay tuned to BRCSPC social media page at www.facebook.com/belizeredcrosssanpedro for more information on the next Blood Drive.